Automotive research and consulting firm AutoPacific has announced their annual Vehicle Satisfaction Awards. The 2017 edition, the 21st iteration, identifies the most satisfying vehicles on the market according to consumers. AutoPacific's Vehicle Satisfaction Awards measure how satisfied consumers are with their new cars. The 2017 survey is based on responses from over 54,000 owners of new 2016 and 2017 model year vehicles. In addition to the experiences of owners, it also measures satisfaction on 49 vehicle attributes, including styling, fuel economy, and interior comfort. In addition to these categories, Lincoln was awarded Most Satisfying Premium Brand, edging out Cadillac and Genesis. GMC won top honors for Most Satisfying Popular Brand. Topping things off, the Genesis G90 logged the highest Vehicle Satisfaction Awards score ever as it won the Most Satisfying Vehicle Overall award. 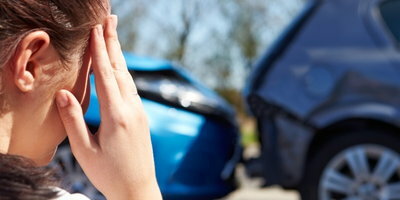 Here at Auto Credit Express, we help consumers dealing with credit issues find car loans. In the process, we have always advised bad credit car buyers to choose an affordable vehicle. Affordable cars not only come with smaller price tags, they also typically allow you to save on interest, gas and insurance. With that in mind, we wanted to highlight the two most affordable Vehicle Satisfaction Award winners. Dubbed the Most Satisfying Compact Car by AutoPacific, the 2017 Honda Civic is a great overall car. It's got great handling, it's stylish, it's roomy, and it offers both excellent gas mileage and safety ratings. 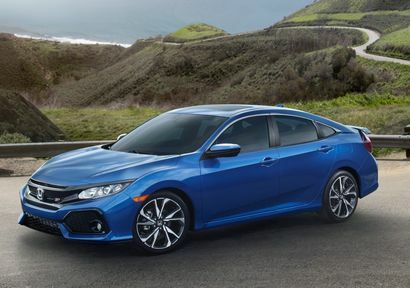 While it isn't the cheapest, the Civic is a standard-setter in the compact car segment. 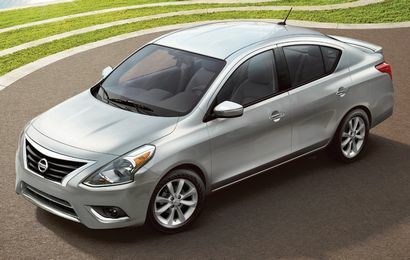 The Nissan Versa sedan is the least expensive 2017 model on the market. So, if you're dealing with a tight budget, you'll definitely want to give the winner of AutoPacific's Most Satisfying Economy Car award a look. The 2017 Versa isn't equipped with a lot of bells and whistles, but, for the class, it boasts a spacious cabin, generous trunk, and solid safety and reliability ratings. AutoPacific's 2017 Vehicle Satisfaction Awards help consumers find vehicles in each segment that owners consider satisfying to own, making it a useful shopping tool. Speaking of helpful car-shopping tools, Auto Credit Express is a valuable resource for consumers with bad credit who need a car loan. Our fast and free service connects credit-challenged car buyers to local special finance dealerships that will do everything possible to get them approved. You can be next if you start by filling out our car loan request form.